I don’t think it is any secret that science can be one of the most challenging learning domains to set up for preschoolers. My teacher friends and I have talked about this time after time, and I truly struggled with this myself for about my first five years teaching. I have done well in science all through school myself, but for whatever reason, it just seems harder to break down into fundamental concepts. Hopefully I can be a source of inspiration though because what once used to be one of my weaknesses, is definitely one of my greater strengths. After going through NAEYC accreditation and Qualistar ratings (several years ago) combined with having friends who love science, the science ideas have finally started flowing. 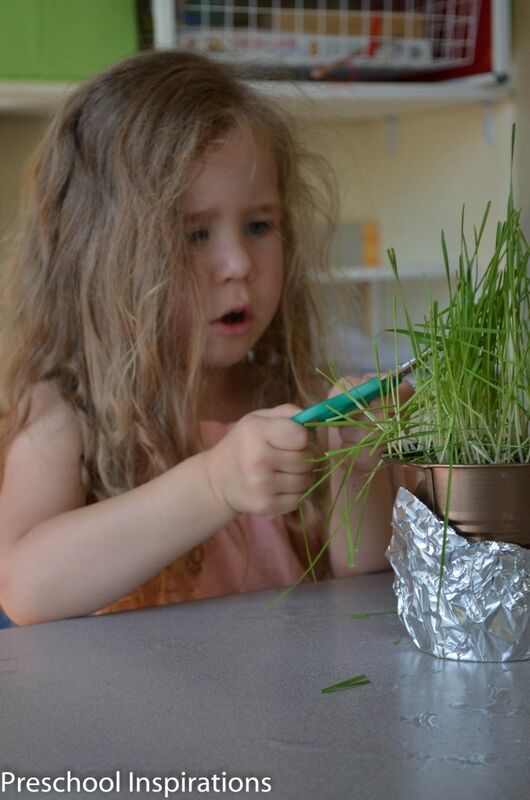 I want to show you my own science center at my in home preschool to help guide you whether you are in a center preschool, an in-home child care program, or a parent implementing learning activities at home. Let’s get started! So here is my fall science shelf (with a little bit of math too). 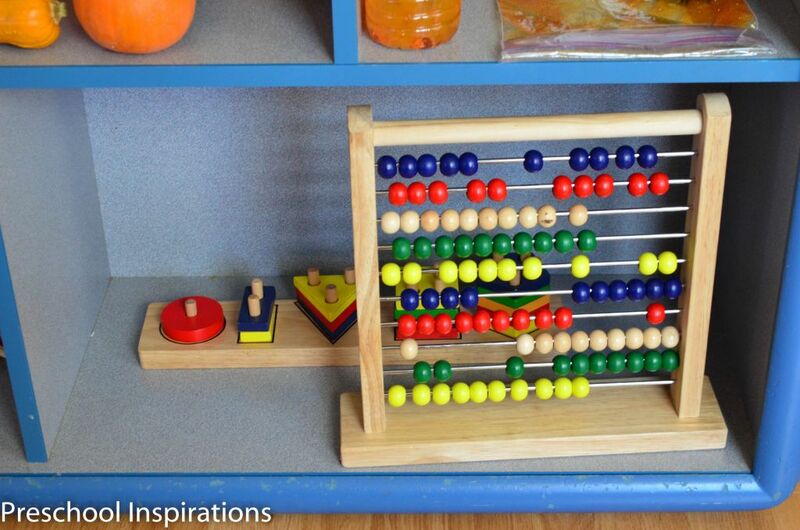 I have a commercial shelf similar to what I used while working in child care centers. However, this is not necessary. If you have the budget for these types of shelves, I think it’s great. If not, a wall mounted shelf would work or even a science table can be implemented. You will notice that my math nook on this shelf on the bottom right. I actually share this area as a math and science area since I don’t have an 800 sq. ft. classroom with a shelf for each learning domain. Since a huge majority of learning programs are in home family child care programs, I wanted to show how to share the space to make it a math and science area. The two areas go well together, which is why I group them like this. Usually half of this entire shelf is math activities, but since I am focusing on science, I pulled them out to show you all some extra science ideas. Let’s take a look at my science area shelf by shelf. For the top we have some 3D pumpkin art and a leaf book. 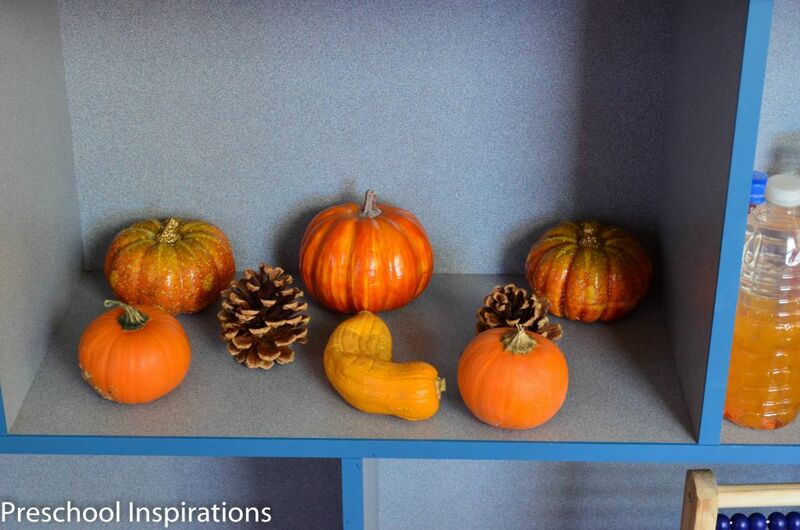 I am a big fan of having 3D items around the classroom, so these pumpkins are just adding decor and hopefully enforcing that each child’s art abilities are valued. The book on the shelf is called Leaf Jumpers , and since it is about fall, I thought it would be the perfect book to feature in our science area. Yes, I did just say a book in science :). It’s a great way to extend the learning experience by providing pictures and content to tie into our fall theme. 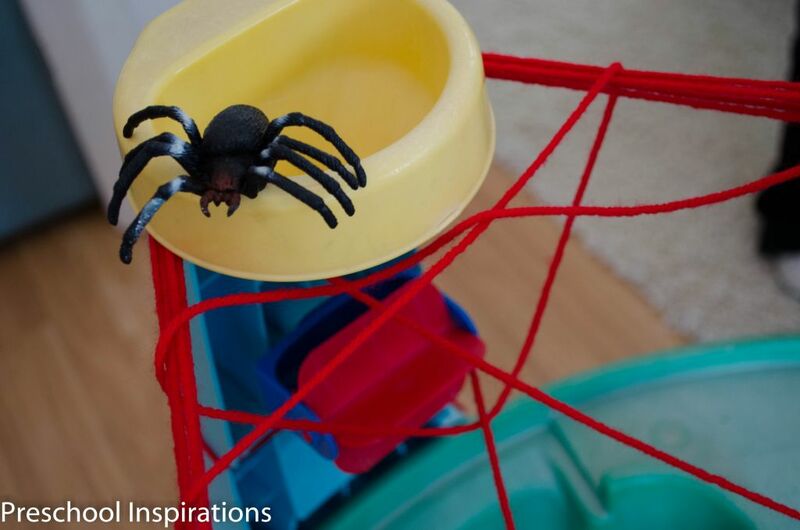 Since fall includes Halloween, we usually take a close look at spiders and other bugs. Actually since children are so interested and fascinated by these creatures, you may notice that I have a heavy emphasis on them year round. We do focus on different insects and bugs according to which we see more often though. 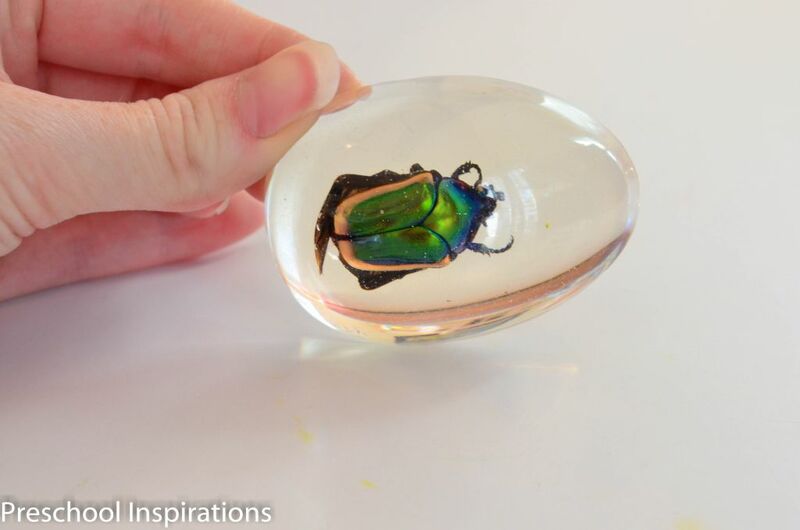 On my first shelf, I have insect specimens set in acrylic. These specific ones were a gift from Marta’s family. They actually made them, which I find amazing!! We absolutely love them! For anyone else who also adores these, you can some incredible ones at Discount School Supply. I love the ones Discount has as well — I’m just a sucker for all these things really! Next I have a pumpkin, squash, and pine cone area. Magnifying glasses are an awesome addition to this. In all honesty, my three are missing in action at the moment. I am hoping they show up soon! Other items that you can substitute would be acorns, leaves, other gourds, apples, pine needles, Indian corn, pumpkin seeds, and any other local natural items or produce. Our squash is from our class greenhouse, so I think that adds an extra special element. Next we are at the sensory area — one of my favorites!! 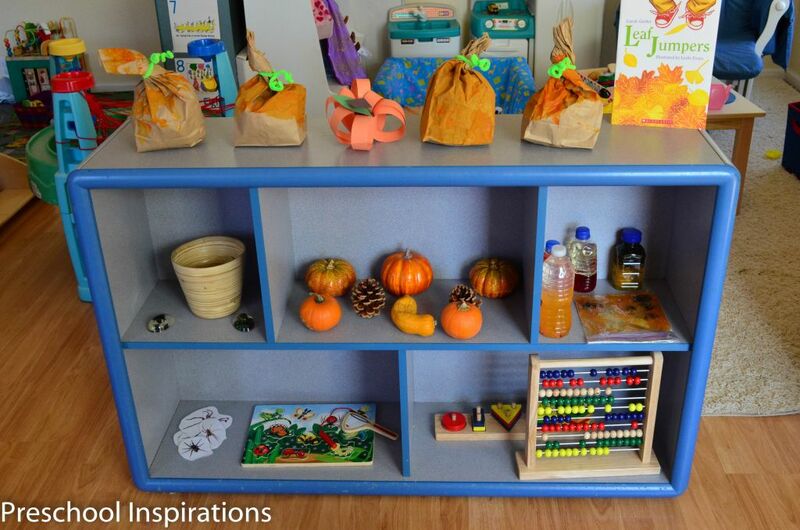 On this shelf I have displayed our discovery bottles and a sensory bag. I focused on orange, red, and yellow colored items. 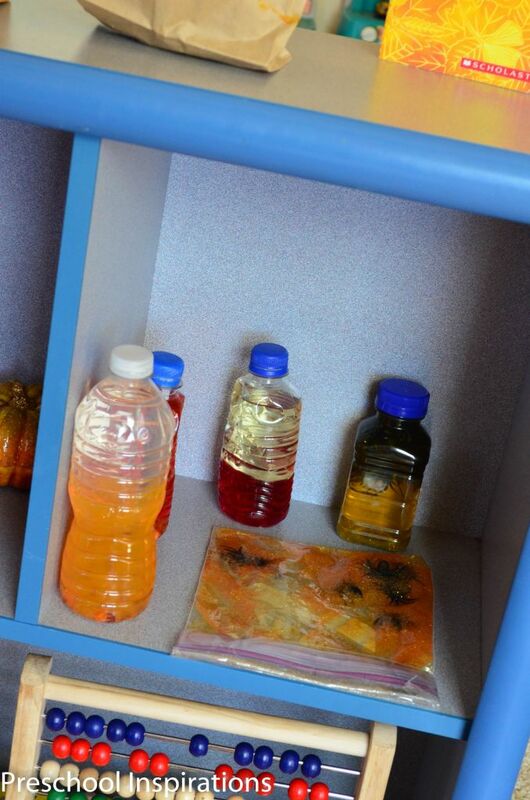 I have a sensory bottle with orange water beads, one with orange food coloring along with beads (sorry it’s hiding), one with red water and oil, a spider discovery bottle, and our spider squishy bag. 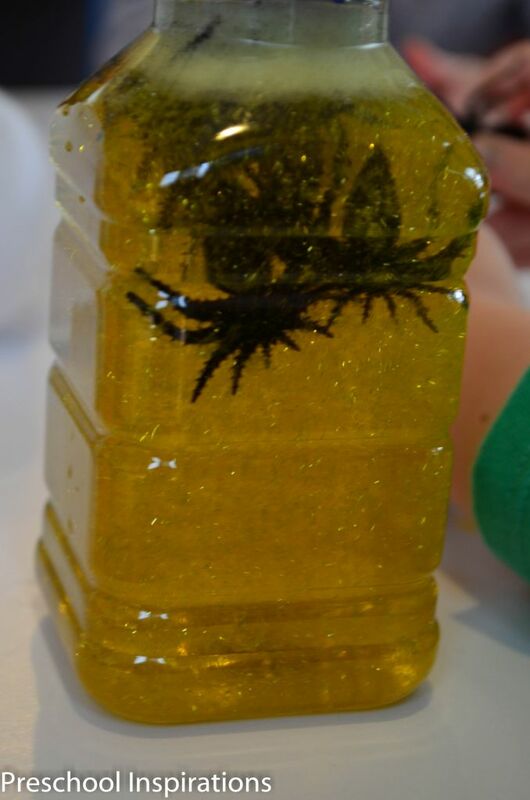 Discovery bottles and sensory bags are super easy to make and very affordable. 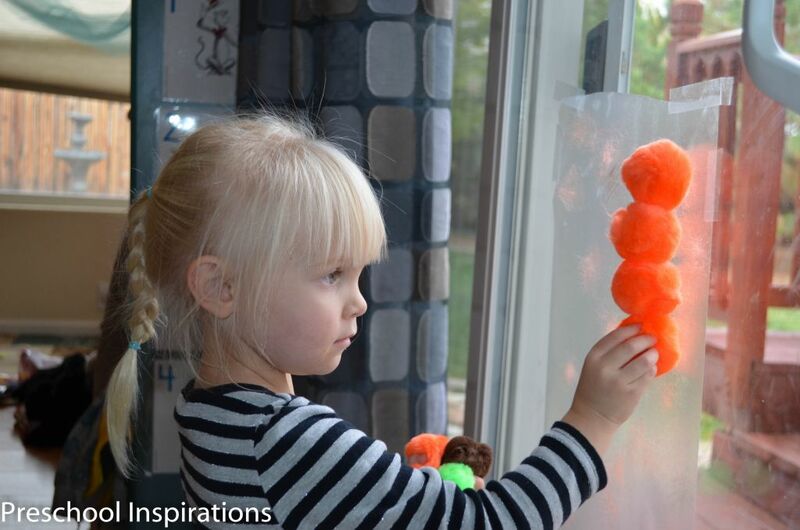 If you wanted to make a magnetic sensory bottle, you could fill it with pipe cleaners/chenille stems with fall colors and put a magnet wand right next to it. Now to the magnetic area. I just can’t have science without magnets. Magnets are simply amazing!! I love the story of cause and effect that they tell combined with a whirl of “magic.” In my opinion, no science area is complete without magnets. What I have featured right now is a Melissa & Doug Deluxe 10-Piece Magnetic Bug Catching Game . I also have our Spiders, Spiders Everywhere game, which by the way is free and wonderful! Since they are both magnetic activities, they are a perfect match together. Here are some other alternative items that you could use for your own science area. Plants are always a perfect way to observe the study of life and growth. If you do not have a green thumb, you could try out grass seed. It’s hearty and can withstand some neglect. Plus it’s fun to have your little ones water and cut it. 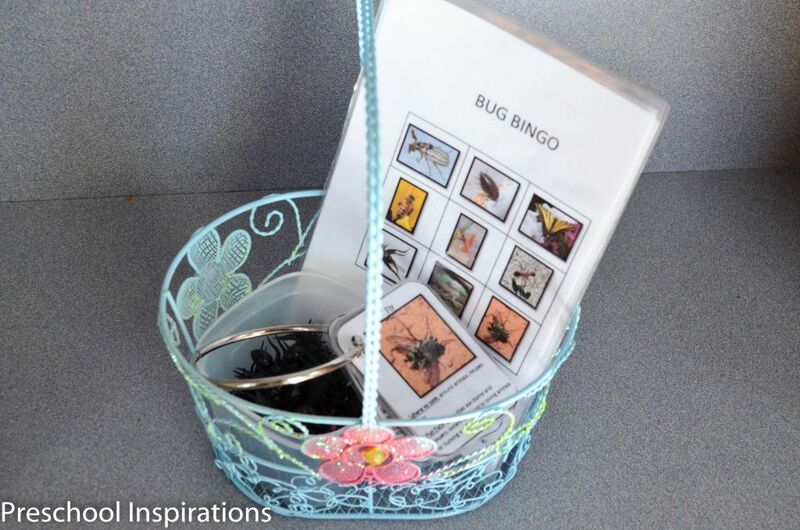 Bug Bingo is another great activity. 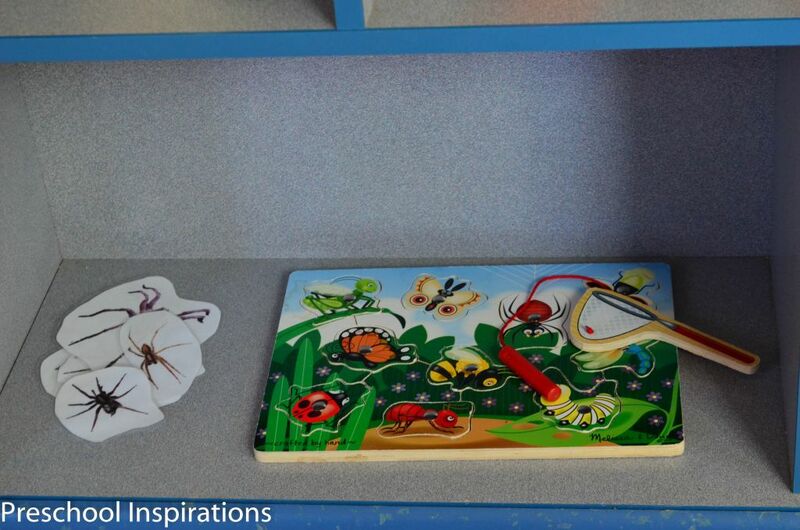 This is one of the many games featured on Preschool Inspirations, which was created for you all by our bug loving expert, Marta. It is both educational and fun! Activities in sand and water tables are science related as well! Here’s what we did to our sensory table most recently. 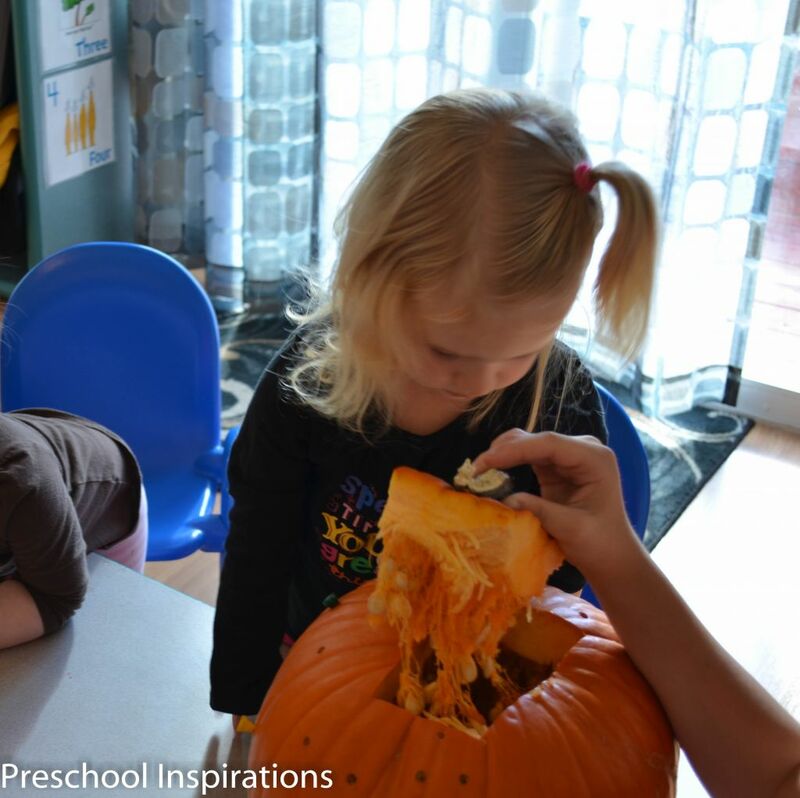 Of course there is the incredibly amazing experience of delving into a pumpkin. We will be putting pumpkin seeds in our sensory table soon. We will be tasting/eating some of the seeds as well. I love making use of the windows in our classroom. This is a piece of contact paper turned sticky side out with pom poms. I originally found this idea from I Can Teach My Child. Below it is our collection of leaves that we gathered on a neighborhood leaf hunt. We stuck it in between two pieces of contact paper and taped it to the window. I love how vibrant it made the leaves look. 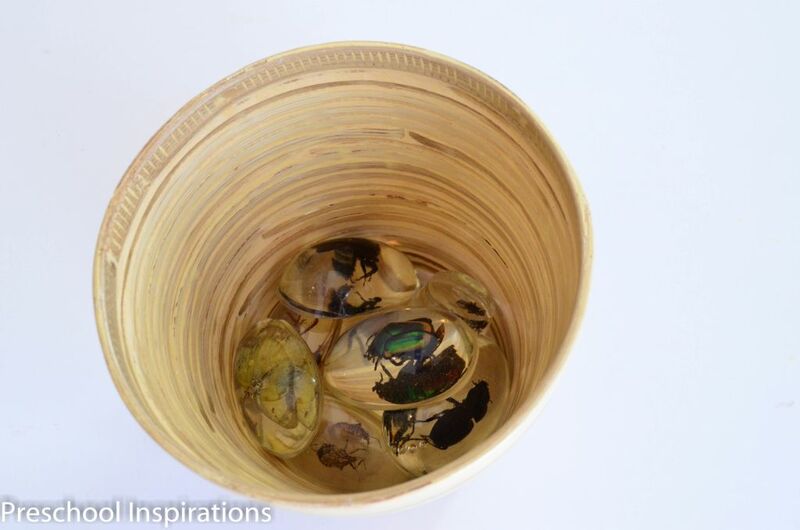 Live insects are a wonderful addition too. 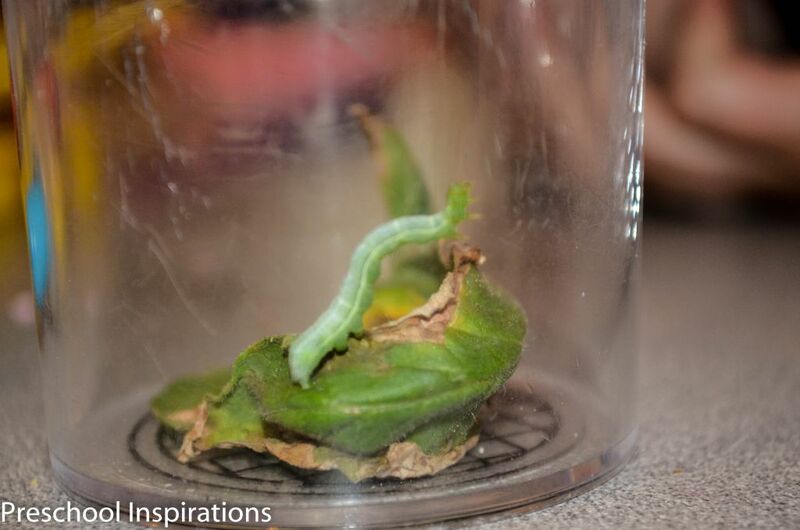 This is a caterpillar that we found which did turn into a moth in our observation station. 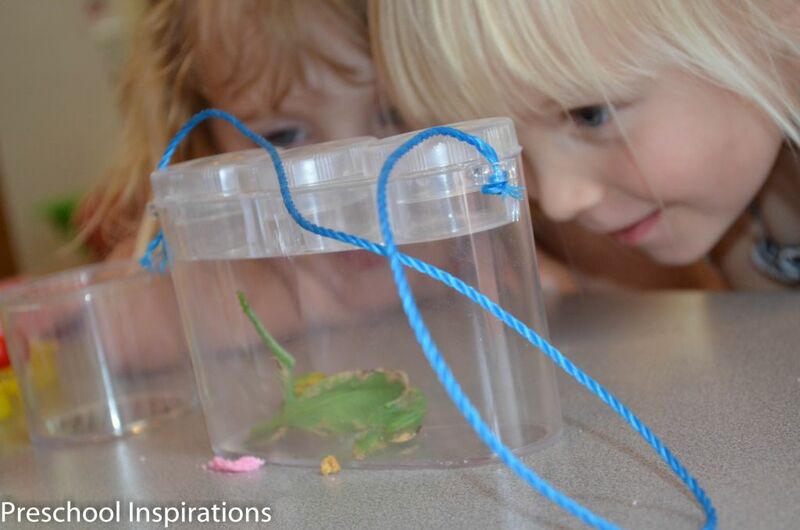 To find out some more creative ways to observe bugs see our post about it here. Some other science activities that we will be doing will be cooking apple crisp, studying owls, bears, squirrels, turkeys, as well as making scented containers with vanilla, pumpkin pie spice, nutmeg, and cinnamon. Fall is absolutely an incredible time to discover science and the amazing way the world works around us. I hope this has given you some ideas to help enhance your own journey into teaching science to little ones. 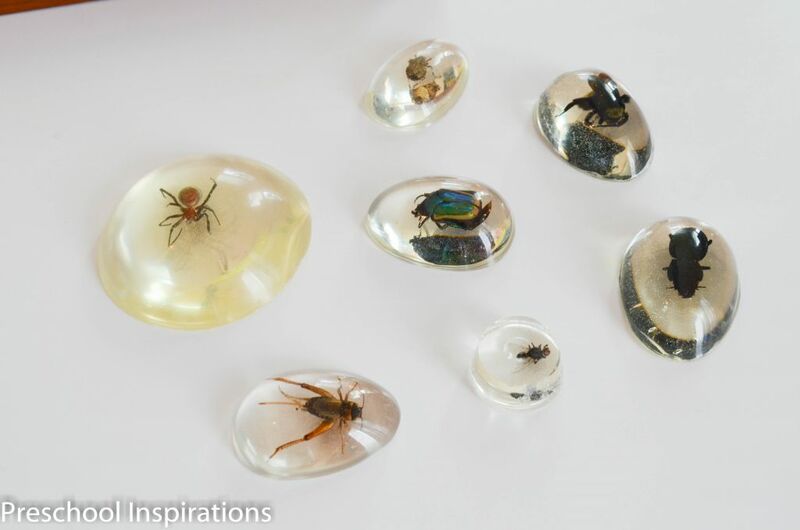 I always loved putting bugs in acrylic on the light table for examination! 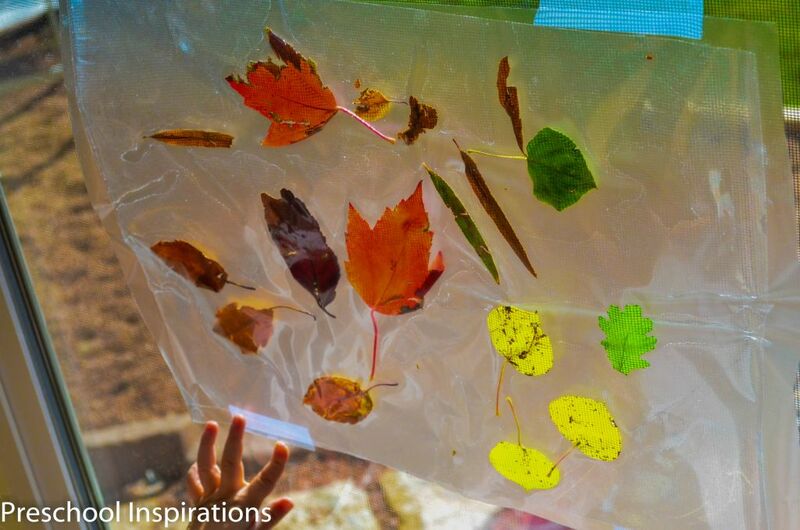 I love the sticky window for nature materials – just beautiful! OOOOOh, I love that!! We will be making our own light table soon, so I can’t wait to try that :). It’s a pleasure to have you visit, Katie.